As you know, I passed my driving test in December (yay), and in December we also found out we were expecting our fourth baby (also yay!). Cars have been at the forefront of my mind for a little while now because we need to upgrade. When I first found the car that I currently drive, I fell in love. She is 18 years old, rusty in parts, and passed her MOT with ease. It’s hard to fall in love with any old car, and I looked at so many before knowing in 3 seconds that this was the car for me. It had very little to do with the colour, or the age, and to be honest with you, and I don’t even really care about the price. I care about the adventure capabilities. Some cars are filled with charm, and you know the moment you touch the bonnet you’re going to be best buddies. But, it is probably time to get a bit more practical. With baby number 4 so close, it’s about the space. I’ve been looking at a lot of cars recently, and the Volkswagen Tiguan R Line is one of them. We have five seats in our current car. There are two adults and three children at the moment, but we need at least one extra space and pretty soon. I mean, it’s basic math at this point. Where will the baby go? I mean really, I have two car seats right now in the car, and I need to fit in a third. So, I am looking for a car that can comfortably have the baby tucked behind me and the others safely spaced elsewhere. With room for shopping or luggage… another reason I have been looking at the Volkswagen Tiguan R Line, it has a 7-seater configuration – bigger family, bigger car! We want to take more long car journeys. In September all of the girls will be in school, which means the time we have to go on holiday will have to coincide with school holidays. And, unsurprisingly travel gets expensive with more people – we already have to get two hotel rooms or an apartment for the 5 of us, so while going abroad isn’t costly initially the costs soon start piling up when you need 5 tickets, 4 beds and so on. Going on UK adventures, or camping trips around Europe are both going to be more cost-effective in a car – so it has to be comfortable to stay in for a while. Something very cool is that really when it comes down to it, what matters is that I enjoy the car and driving. I know people who have purchased a vehicle in haste and, in the end, hated driving it. So, this is a decision I am just not prepared to rush at all, but I’m happy to know that I have full control of the situation. My current ride has two cupholders on the passenger side, and that is it! The stereo only works with my phone plugged into it, and I have to wind the sunroof back manually. I’m not dramatic I swear BUT in the next car what I reeeeally want is enough cup holders so that everyone can have a Mcflurry and eat it without the thing falling all over the seats. We don’t usually eat in the car, but if we manage to get in some of those long road trips then I’m going to need to stop a couple of times and would it be so bad to double up the takeaway coffees because I have the space to do it? 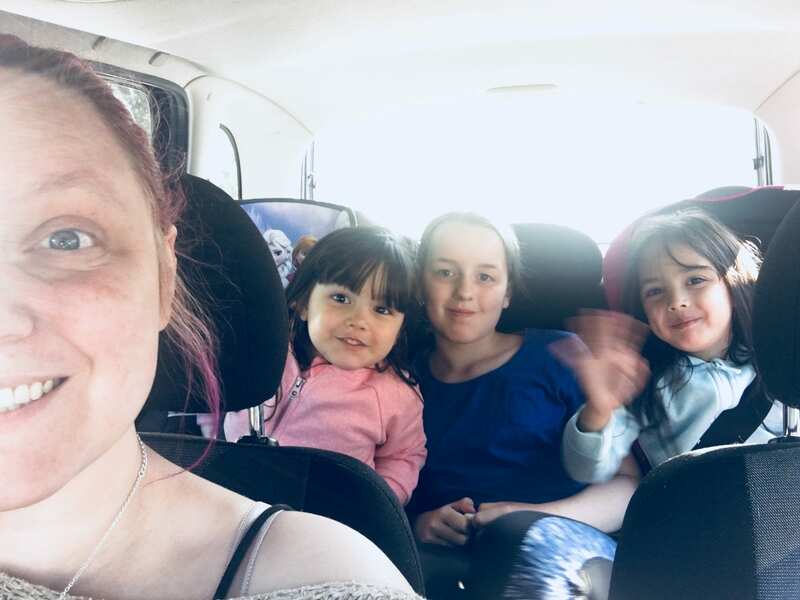 So, sadly we are moving away from that first car that helped us tackle big things like the first time I joined the motorway, the first time I pack up and headed to beach – just because I could, the first time I was the one going through the drive-thru – simply to drive home again with our food. I’m going to be heartbroken to say goodbye to Paul Rudd, but as a family, we are ready for our next car. Next Post A Roadtrip Around Europe – Plus Map!